Flies are a nuisance primarily in offices and other commercial spaces with a bad sanitary environment. 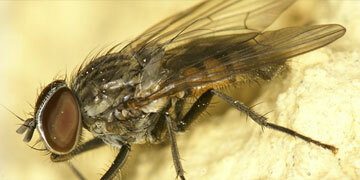 Flies breed in any decaying, rotting organic matter. This contact subsequently causes contamination of food and transmission of disease. PCI offers various methods to suppress and prevent infestations such as insect screens insect light traps – glue boards & electric traps sticky tapes and industrial screens for doorways. IFM® is a program designed to control and prevent future infestations. PCI’s team inspects the site to determine the location of the infestation. The infestation is controlled through sanitation, biological and other non-chemical methods. PCI, in consultation with the client, designs a custom program to deal with the specific pest issues faced by the customer at the site. PCI prides itself in having programmes and offerings which adhere to industry standards and norms. IFM® is one such program which adheres to International Food Safety Standards.